This lovely little pink and white striped dress is softly gathered at the waist and sleeves. The dress has a Lilly and Sid logo embroidery detail on the chest and contrast navy Peter Pan collar and navy trim to the sleeves. The pink and white pants coordinate beautifully with the dress and the softly elasticated waist and legs allow for easy changing. There are popper fastenings at the back of the dress. 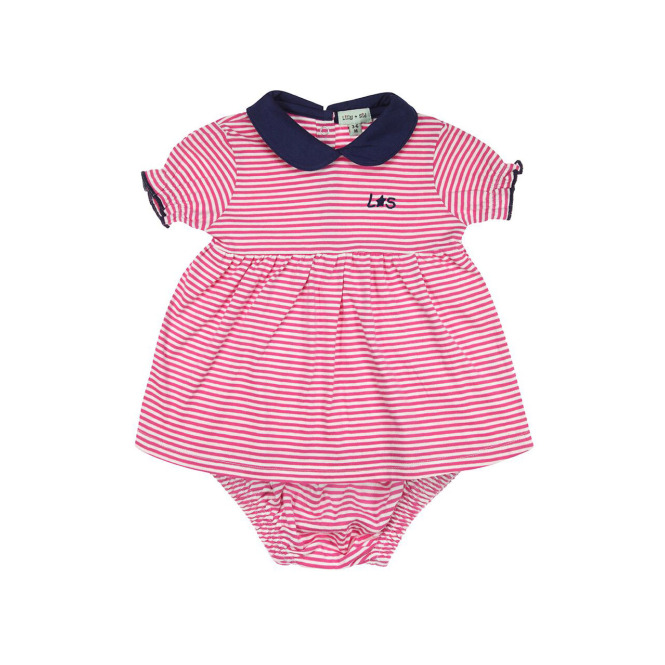 The Lilly and Sid Pink Stripe dress and pants set is made from 100% soft natural cotton.